Tamara first certified in energy therapies in 2004 and opened her business, “Hope For a Better World” in 2006. She is a gifted energy worker that has assisted clients with various labels of mental illness, sleep problems, anxiety, grief, depression, fear and abuse of all kinds. Tamara is a Positive Living Life Skills teacher who helps you make peace with your past. 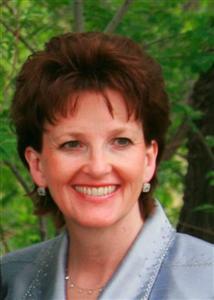 She is also a Reiki Master certified in Quantum Touch, Theta Healing and Vibrational Medicine. Call her for a complimentary half hour introduction at her home office. Phone sessions are also available since subtle energy is non-local, making distance work a valid option. Several years ago I was frustrated that the medical profession had more questions than answers about an illness my daughter was experiencing. She had been diagnosed with severe depression and then a bipolar type disorder. A quiet voice in my mind prompted me repeatedly to phone a woman I deeply respected but had not kept in contact with. I wondered how a busy stay-at-home mom could possibly help with trials as major as suicidal tendencies. I dialed her number, feeling a little silly. She listened as I recounted some of the trials we’d been through. Then she said something that still stands out as being profoundly important. She asked, “So, you’ve only looked for help in the medical field?” Startled, I answered “Yes, of course. What else is there?” “Oh,” she said, “there is a whole other field of medicine.” “Really?” I asked incredulously. “Yes, it is called Energy Medicine,” she replied in a matter-of-fact way. She said it was an alternative but complementary treatment, so we could continue the doctors’ orders while investigating if it was helpful. I believed her because she was a woman of integrity. As it turned out, this woman, the wife of our former bishop, had become a Rapid Eye Technician also trained in other modalities. I found that Rapid Eye Technology was an eye-opening way to release stress! Sessions of RET were more than helpful, they were life-changing. My daughter’s improvement at appointments was amazing, particularly to her NAMI support group. We learned and applied universal principles found in the Life Skills and in combination with forgiveness work at Graf Stress Management, my daughter made a complete turnaround, for which I praise God. 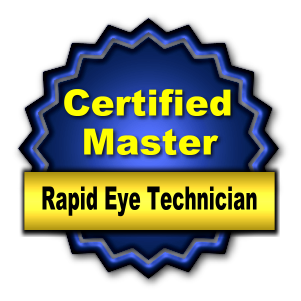 He and my daughter are the reasons I am a Master Rapid Eye Technician today. Helping people to get light back in their eyes is some of the most rewarding work I have ever been a part of. Another passion I have is researching how energy work fits with the gospel of Jesus Christ and LDS teachings. Prophets both ancient and modern have written about distance healing, a universal life-giving energy, women and spiritual gifts, generational issues and other energy medicine premises. Read about that at tamarasbook.blogspot.com where I talk about the book I am writing, What Else Is There? The site also pictures the books I’ve investigated on my shelfari bookshelves. Enjoy!